Why did they need to reach new markets and how did they do it? Already recognised as a leading provider of energy saving technologies, Geyser Thermal Energy Ltd recently won the “Best utilities and services product” category at the Building Better Healthcare awards 2015. Their heat recovery from refrigeration product installed at Nuffield Health receiving high praise. Geyser Thermal Energy Ltd recently won the “Best utilities and services product” category at the Building Better Healthcare awards 2015. Despite their success, Geyser Thermal Energy Ltd came to us to help them widen their markets in Europe and establish partnerships with overseas businesses that focused on saving energy. We defined a market-entry strategy, and searched for a partner to get their products out to new markets. After attending one of our Trade Missions, Lolli Olafsson, from Geyser Thermal Energy Ltd said “the Trade Mission to Poland was impressive because it gave me an opportunity to make useful connections and develop relationships with other companies that were on the mission. Then when Enterprise Europe Network actively searched to find partners across Eastern Europe, they went well beyond the brief and came up with a partner in Greece. We signed an agreement with them very quickly. I was impressed with the depth of research and initiative taken, and the direct and personal support for our business”. 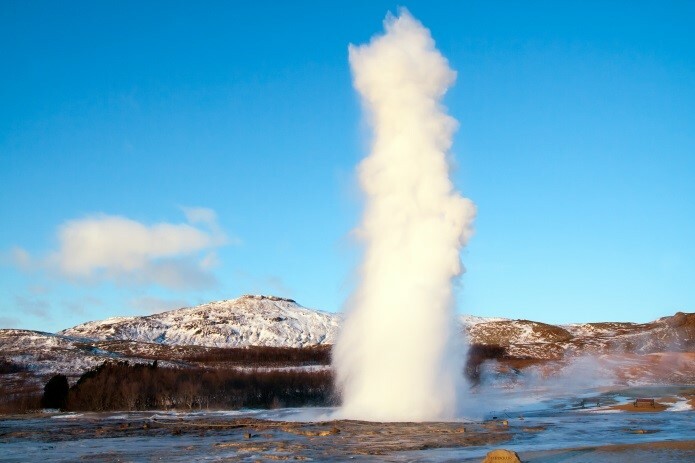 We worked with Geyser Thermal Energy Ltd to create a profile on the Enterprise Europe Network Partnership Opportunities Database (POD) which promoted the opportunity across Europe to potential interested businesses. Within days an expression of interest was received by Data Venia, a Greek company engaged in the trade of energy equipment and services, with a particular interest in innovative renewable and energy saving products that they can introduce to new markets. Geyser Thermal Energy Ltd signed a partnership agreement with Data Venia, based on collaboration to develop a commercial relationship targeted at delivering trade intermediary services, and Data Venia distributing Geyser Thermal Energy Ltd products. Their new Greek Partner, has given them access to new markets beyond the UK. Previous Post Join the International Festival for Business Club for the chance to meet new buyers Next Post Could Iran Be The New China?